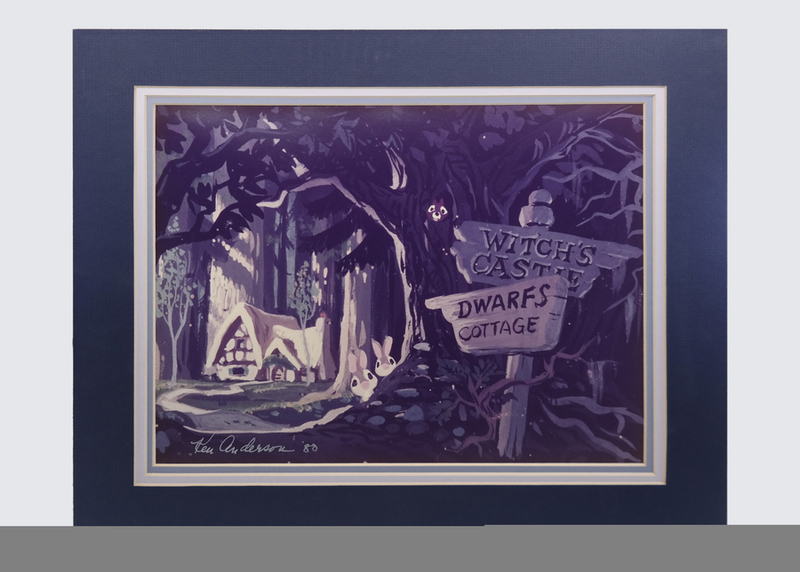 This is a limited lithographic photo print featuring an image of the dwarf cottage from Snow White and the Seven Dwarfs. 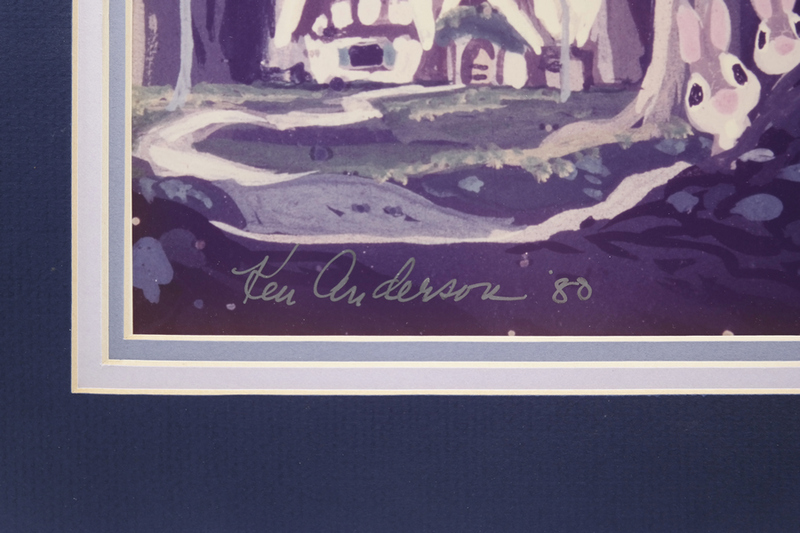 The imagery features a great rendition of the beloved setting as it was brought to life by Disney animator and Imagineer Ken Anderson, while working on the Fantasyland attraction at Disneyland. 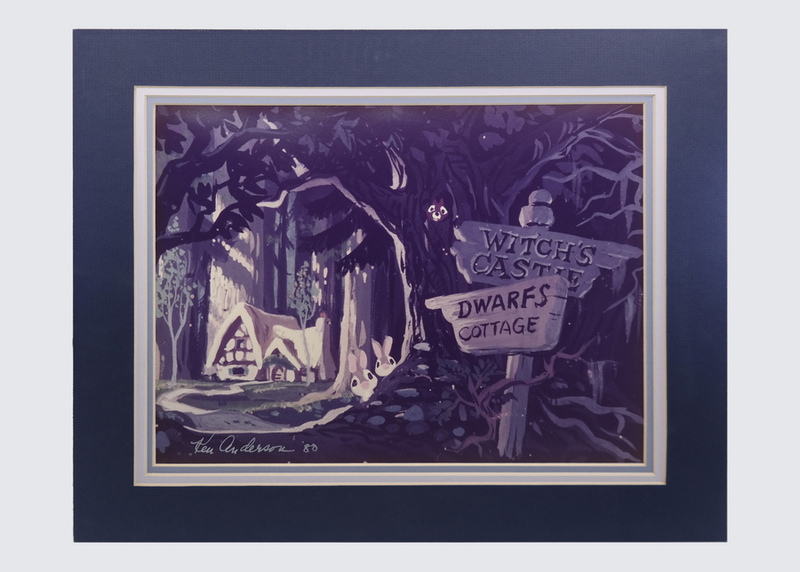 This print was released by the Disney Gallery, which opened above Pirates of the Caribbean in Disneyland in 1987, to display the art, designs, and models created by artists at WED Enterprises. The print is signed by Ken Anderson in the lower left. The piece measures 15" x 18", with the mat opening measuring 10.5" x 13.5", and the image itself measuring 10.5" x 12.5". The print is in fair condition, although the colors have faded due to sun exposure.